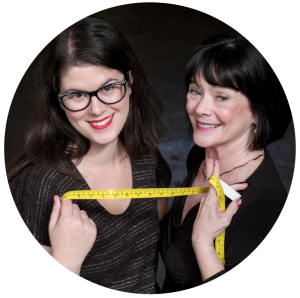 This podcast was recorded in response to a Self Sewn Wardrobe Facebook group post. A member posted about how frustrated with sewing they were becoming because they were trashing about 1/3 of their garments. Mal and Zede were saddened to hear about their struggle and were even more surprised by how many people had similar responses and reactions. Sometimes sewing can be frustrating and sometimes projects are better off being put in time out or trashed. Zede and Mallory could understand why that person was so frustrated, spending that much time, energy, and resources just to throw that much of it away would make them feel that way too. This podcast is dedicated to how not to throw out projects – well not as many maybe. The planner is available in a universal style as well as a monthly theme that follows along with The Self Sewn Wardrobe Group on Facebook. Both planners offer helpful guidance in planning out your next wardrobe make as well as thoughtful prompts to keep your makes relevant to your likes, style, and wardrobe needs. This planner is a guide to planning and finishing any wardrobe project. You define the project, evaluate your current wardrobe, and follow our guide to form a plan of attack. You’ll be on your way to a Self Sewn Wardrobe in no time. This 17-page planner can be customized and printed over and over again. You may want to print some pages more than once, depending on your project, for example, you’ll probably make more than one pair of underwear in a month, but most likely only one coat in that amount of time. This planner is available to Straight Stitch, Backstitch and Zig-Zag members of SewHere.com. Check out membership options here. This is a printable PDF file that will be immediately available after purchase when you log in at SewHere.com/Profile. You will not receive a physical planner. A new, themed planner will be published every month! 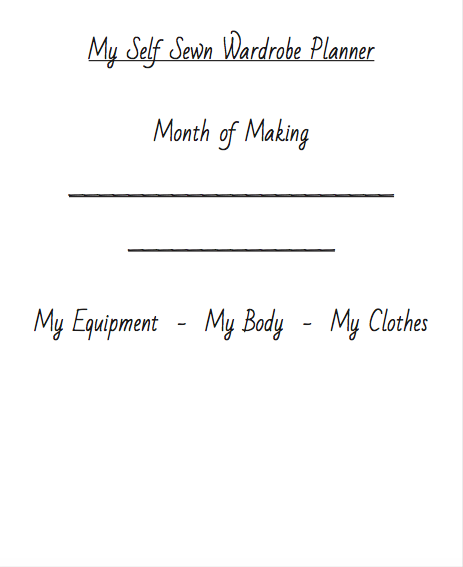 Each month’s planner will follow along with the theme in The Self Sewn Wardrobe Group on Facebook and include relevant planning and goal setting information as well as hand drawn sketches by none other than Mallory herself. This planner is included in the Zig Zag SewHere Membership level. If you’re interested in becoming a Zig-Zag member, the themed planner will be automatically delivered to the “Downloads” section of your SewHere profile each month!